Caribbean stud poker was one of the less popular poker variations during the last few decades but is now gaining serious prominence amongst several players and in many casinos. Just like any other game it is guided by strict rules that regulate the players of this wonderful game some of which include that once the player makes a wager, he is also expected to place an additional 1$ aside known as the progressive side bet. Each player and the dealer get 5 cards each all dealt face down with the exception of a dealer card. After this process, the players are allowed to check their cards but as it is with all card games, giving out information about one’s card to another player is frowned upon. There are also only two options for players of the Caribbean stud poker which are either to raise or fold. If the player decides to fold, he will forfeit his cards, ante bet and any side bets he makes but if he raises then he must make a wager that is exactly double the previous one he made. The dealer will then turn over the other four cards he has and if he has an ace, a king or higher, he qualifies. This means in this context, the lowest hand is the ace, king, 4, 3, 3 while the highest non-qualifying hand is the ace, queen, jack, 10 and 9. If the dealer doesn’t qualify, then the player wins even money on his ante wager and then the raise will push. If the dealer is able to qualify and beat the player, the latter loses both the ante and the raise. More so, if the dealer qualifies and loses to the player, the player will get even money on the ante and the raise will depend on the posted pay table. If there is a tie, both the ante and the raise will push but the progressive side bet is totally based on the value of poker cards on the player’s hands. There is nothing more complicated in the game of Caribbean studs than the optimal strategy. As a matter of fact, there are no experts when it comes to applying this strategy but there are two major methods that can guide players to an interesting time on the game. 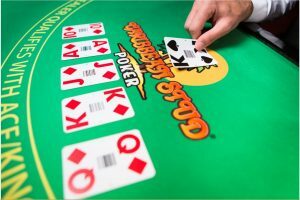 The first method stipulates that the player must always raise with a pair or higher while the second plan is to always fold with less than what the dealer has in his qualifying hand. The tricky part of this plan is the ace/kings hands. Usually, it is better when the three singletons are high or the dealer’s up card is either a jack or less and then matches at least one of the player’s cards. This ensures that the dealer’s chance of making a pair is reduced drastically. The resultant effect is a house edge of about 5.2% which is just 0.001% shy of the optimal strategy. If this method isn’t ideal for you, try out the Wizard’s Caribbean Stud Poker Strategy which suggests that players must raise if the dealer has 2 cards that are through queen and at least one of his matches the player’s. Also the dealer’s card is an ace or king and all you have is a queen or jack on your hand, you’d better raise. Lastly if the dealer’s rank doesn’t match any of the player’s cards but he have a queen in your hand and all the dealer has for his troubles is less than your fourth largest card, you must raise. Just as discussed earlier the player has the opportunity to make a side bet 0f 1$ which can pay for hands of a flush or even better. It must also be noted that there are several payoff tables that vary but one thing that is common across board is the progressive jackpot. They all pay 100% of the jackpot meter in the case of a royal flush and for straight flush a 10% jackpot. The player may also call if he makes abet for the dealer. In many casinos, the player calls the tip for as long as he can raise his bet. This is a very good strategy if he is able to raise with a marginal hand. When a player has a pair of fives or less, it is better for him to call unless he folds himself. When he has a pair of sixes, he can call except the singletons are sevens or higher, a pair of sevens is prompting him to raise except all the three singletons are six or less but when he has a pair eight or higher it is better to raise. Following this model guarantees the player at least a 50% advantage on the game. Double your money - get up to €140 instant welcome bonus from 888Casino. Use the 888Casino welcome bonus to play slots games, jackpots and live casino games. Play to hit the biggest Jackpots ! 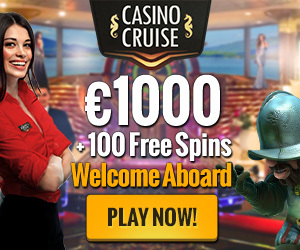 Get started with a €1600 welcome package from All Jackpots Casino. Get more for your money with instant bonuses on your first four deposits from All Slots Casino. You can enjoy a 100% welcome bonus up to the 100 GBP limit from Bet365 Casino. Live dealers, casino games on your phone or tablet. Up to £500 welcome bonus available to new BetBright Casino customers and extra casino promotions and rewards for new players. Claim a 100% match up bonus up to £100 to play on all games at Betfair Casino. Claim a 100% match bonus up to £1,000 to play on our huge selection of slots.